For its fourth model in year production, the 2016 Cadillac XTS receives several updates and changes that constitute a mid-cycle refresh. Inductive wireless phone charging: allows users to charge their compatible smartphone without the need to plug it in. Enhanced CUE features: make the system faster and easier to use with navigation and Apple CarPlay capability, which allows smartphone users to connect with applications such as navigation, hands-free text messaging, entertainment and news directly through the display screen. The defining design element of the XTS is a short dash-to-axle ratio that’s indicative of a transverse-engined, front-wheel-drive vehicle architecture. The vehicle has intricate surface detail supported by hardware and spatial dimensions that serves as its foundational layers. Multidimensional elements, including the grille, headlamps and accent lighting coalesce to give the XTS a presence and attention to detail unlike any Cadillac that has come before it. The Cadillac XTS is solely available as a four-door sedan. Like the exterior, the XTS’ cabin extolls a multidimensional philosophy in a bold, elegant design that is also very efficient in the ways it encompasses passengers and cargo. 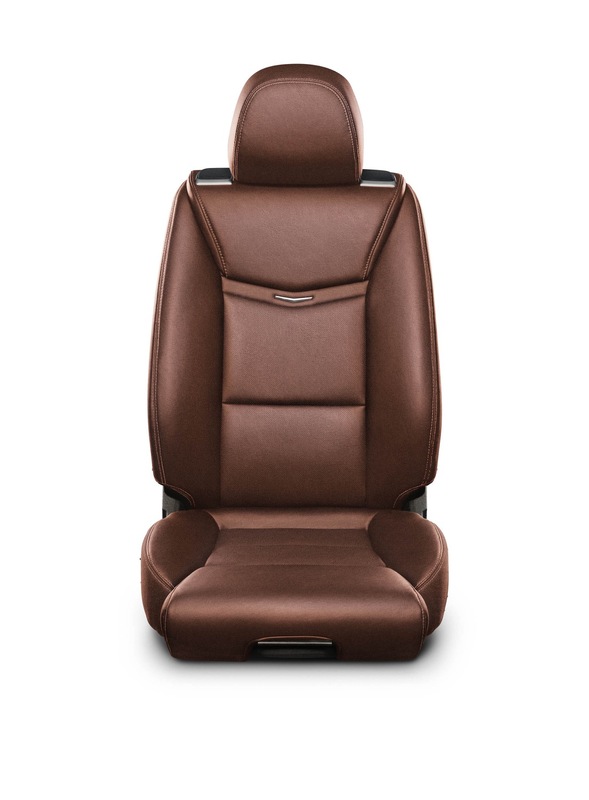 It represents Cadillac’s expression of luxury also in its use of authentic materials and unprecedented connectivity. Platinum Collection models feature a fully-wrapped leather interior with microfiber sueded headliner, as well as premium wood trim on the steering wheel, console, center stack, instrument panel and door panels. When it was released, the XTS was the most spacious Cadillac sedan. 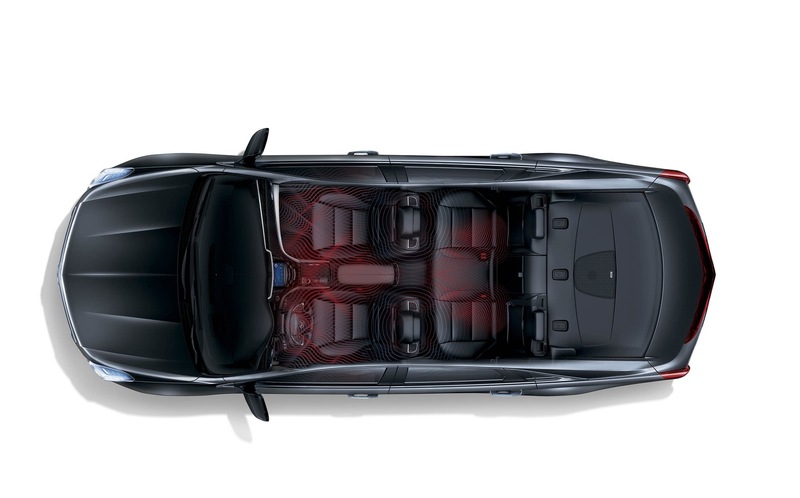 The vehicle is tailored to provide roominess in a more efficiently-sized package. It offers more interior space than midsize luxury cars and is comparable to full-size sedans, particularly in the rear seat area, where it has 40 inches (1,016 mm) of rear legroom. That’s about four more inches than the BMW 5 Series, and Mercedes-Benz E-Class, and about two more inches than the Audi A6. And when it comes to trunk space, the XTS is in a league of its own, with 18 cubic feet (509 L), exceeding both midsize and full-size competitors – more than Audi A6 and A8L, BMW 5 and 7 Series and Mercedes-Benz E- and S-Class. The cargo advantage means room for five or more suitcases. Upgrades and enhancements to CUE for the 2016 XTS include improved system speed and performance, faster, more accurate map loading and voice command execution, faster service reprogramming, redesigned navigation interfaces, single-press mute navigation voice/cancel route, expanded cities with 3D maps, route information and next maneuver and BT Media browsing. At the heart of CUE is the vibrant, eight-inch-diagonal LCD multi-touch sensitive screen – with proximity sensing and haptic feedback. It is seamlessly integrated in the top of the central instrument panel and displays CUE’s home page, which resembles a smartphone screen, with large, easy-to-target icons that execute commands. Capacitive technology on the screen and faceplate enables consumers to use the same “swipe,” “pinch” or “spread” gestures common to most popular smartphones and tablets. A navigation system is available with the Luxury Collection and is standard with the Premium and Platinum Collections. Additionally, a 12.3-inch (312 mm) reconfigurable instrument cluster is standard on Premium and Platinum Collections. It features vibrant graphic displays showcased among four driver-selectable themes, ranging from minimal to extensive information. And while it is the prominent element in the XTS’s technological character, CUE is part of a more comprehensive and layered approach to the car’s design, capabilities and performance. Phone integration technology — provided by Apple CarPlay and Google Auto — is designed to take phone features customers would want to access while driving and put them on the vehicle’s display in a smart, simple manner. The features allow customers to use select smartphone apps through the touchscreen interface. In fact, many features can be controlled via voice commands through a button on the steering wheel, helping drivers keep their eyes on the road and hands on the wheel. Using either Apple CarPlay or Android Auto is simple. A “Projection” icon on the Cadillac CUE screen is visible when a phone is not connected, then changes to indicate CarPlay or Android Auto when a compatible phone is connected via USB. Apple CarPlay capability is offered at the beginning of the 2016 model year. Apple CarPlay is compatible with iOS 7.1 or higher. Android Auto requires a phone running Android Lollipop 5.0 operating system or above. Android Auto capability comes later in the model year. Complementing CUE to enhance the XTS connectivity is OnStar 4G LTE connectivity and Wi-Fi hotspot. It provides a mobile hub for drivers and passengers to stay connected. The hotspot is on whenever the vehicle is on and comes with a three-month/three-gigabyte data trial. 4G LTE is the most current and fastest mobile data network – 10 times faster than 3G and 100 times faster than the previous generation of OnStar hardware. And with OnStar, it also offers stronger, broader coverage than smartphones on the same network and it’s easy to use. At the time of purchase, one year of OnStar Guidance includes all of OnStar’s advisor-based safety and security features, including Automatic Crash Response and Stolen Vehicle Assistance, as well as Turn-by-Turn navigation. The OnStar system also includes OnStar Vehicle Diagnostics (OVD), which runs monthly checks of a vehicle’s engine, transmission, anti-lock brakes and more, and Dealer Maintenance Notification, which sends a diagnostic report directly to a preferred dealer, simplifying service scheduling. The standard engine in the Cadillac XTS is the 3.6L V6 LFX. It’s rated at 305 horsepower (227 kW) and 264 pound-feet of torque (355 Nm). The engine’s lightweight features help reduce overall weight for greater efficiency and a more favorable front-to-rear weight balance. Lightweighting examples include a composite intake manifold that saves approximately 5.5 pounds (2.5 kg) over the weight of a comparable aluminum intake and an integrated cylinder head/exhaust manifold design that saves approximately 13 pounds (6 kg) per engine. The up-level engine is the twin-Turbo 3.6L V6 LF3. Standard on V-Sport models, the engine delivers an SAE-certified 410 horsepower (306 kW) and 369 pound-feet of torque (500 Nm) – making it one of the most power-dense six-cylinder engines in the segment. A pair of smaller turbochargers and an efficient charge air cooler help provide more immediate power delivery, while peak torque is sustained over a broad range – 1,900 to 5,600 rpm – for a confident feeling of power when accelerating or overtaking traffic on the highway. Tuned air inlet and outlet resonators, aluminum cam covers and other features that contribute to exceptional quietness and smoothness. The Cadillac XTS rides on a premium and long-wheelbase variant of GM’s Epsilon II platform called Super Epsilon. The architecture is shared with the second-generation (2010-2016) Buick LaCrosse and tenth-generation (2014-2018 or 2019) Chevrolet Impala. A layered approach to the driving experience relies on new and established technologies – all rooted in a stiff structure. 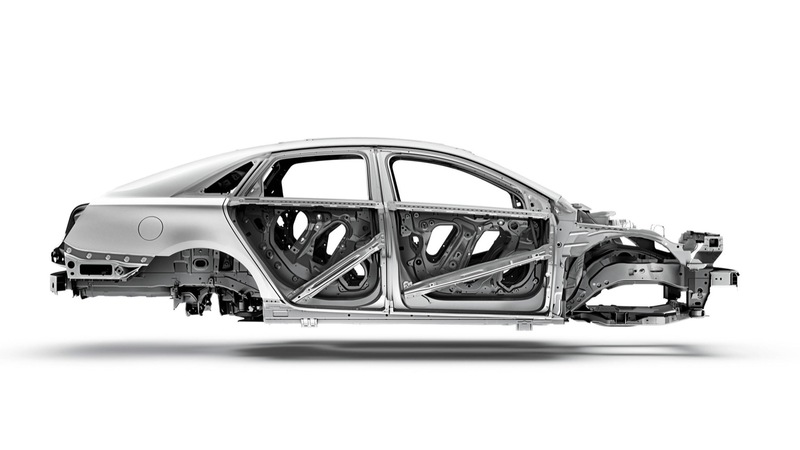 The body is infused with strategically placed, ultra-high-strength steel for strength and crash protection, and serves as the foundation for the advanced chassis system. A premium electric, variable-assist power steering gear is employed with all front-wheel-drive models. The system is designed to deliver excellent response and on-center characteristics, while enhancing efficiency by drawing energy only when the wheels are turned. StabiliTrak electronic stability control is standard on all models, along with variable-effort steering and four-wheel disc brakes (front Brembo brakes) with four-channel anti-lock brakes – all features that add important layers of control to the driving experience. Like Magnetic Ride Control, XTS borrows the Brembo braking technology from Cadillac’s V-Series of high-performance models. The brake disc rotors are manufactured with a process that protects against rust. It involves super-heating the rotors to more than 1,000 degrees F (560 C) for an entire day in a special oven, where the nitrogen-rich atmosphere promotes nitrogen atoms to bond to the rotors’ surfaces, hardening and strengthening them. Cadillac XTS provides a NHTSA 5-Star overall crash safety rating, the highest safety rating available. And the rating is standard on every XTS. In addition, Cadillac offers several advanced safety based on Cadillac’s “control and alert” strategy that employs advanced technologies – including radar, cameras and ultrasonic sensors – to help prevent crashes. The safety features bolster driver vision and awareness of road hazards, and can even help the driver avert potential crashes. In certain situations, Cadillac’s advanced crash-avoidance systems, such as automatic braking, can pre-fill and automatically apply the brakes in response to potential hazards. Among the most available sophisticated features of the XTS is front and rear automatic braking. It relies on radar, camera and ultrasonic technology to help the driver prevent front and rear low-speed collisions via a progression of alerts that extend to complete braking, if necessary. Many of the advanced safety features are bundled in the Driver Awareness and Driver Assist packages. A rearview camera with dynamic guidelines is standard on Luxury, Premium and Platinum Collections. A color head-up display and full-speed adaptive cruise control are available. 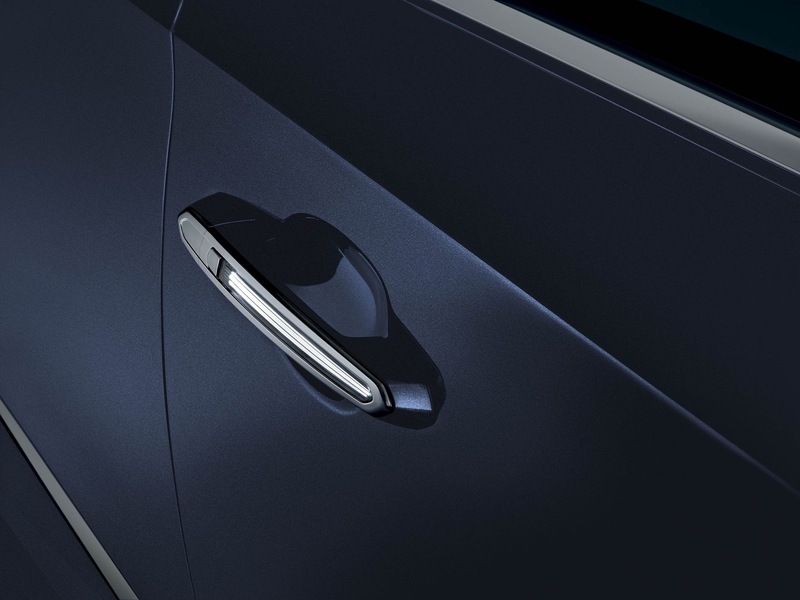 On FWD models, the XTS also offers automatic parking assist. The feature enables the car to park itself in parallel spaces by using ultrasonic sensors to locate a suitable space and maneuver the car into the space. The driver is required to only engage reverse and apply the accelerator and brake pedals. Adaptive forward lighting, which turns the headlamps with the direction of the front wheels, and IntelliBeam, which automatically deploys high-beam headlamps when needed and instantly turns them down when oncoming traffic is detected, are standard on Premium and Platinum collections. 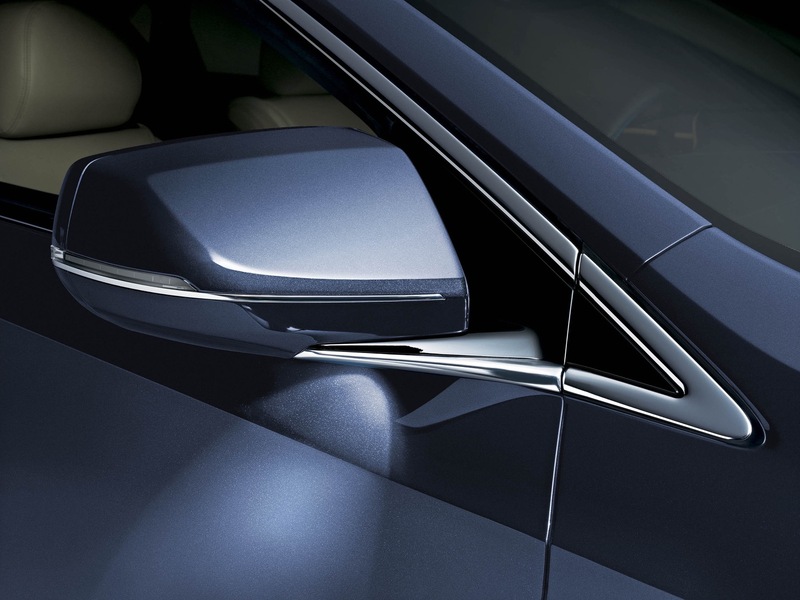 The Platinum trim represents the highest level of technology and luxury in the XTS. It includes a unique front appearance, wheels and interior colors, materials and trim. Meanwhile, the XTS V-Sport takes the performance of the XTS to a higher level. It’s powered by a 3.6L Twin-Turbo V6 engine coupled with all-wheel drive. V-Sport available in the Premium and Platinum trim levels. 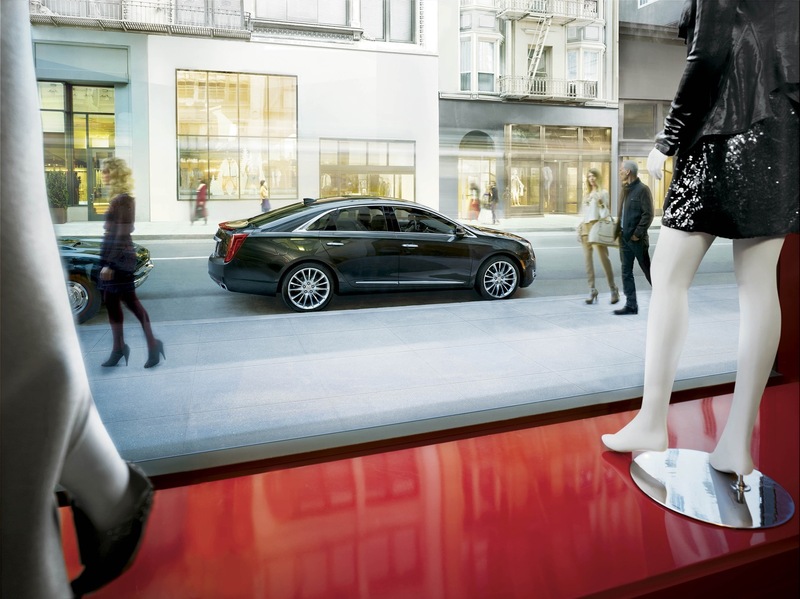 XTS is the only luxury sedan with standard Magnetic Ride Control – the world’s fastest-reacting suspension. Meanwhile, the advanced all-wheel-drive system uses Haldex technology with an electronic limited-slip differential to transfer power front-to-back, and side-to-side, along the rear axle. It is available on all three Collections. The Manufacturer’s Suggested Retail Price (MSRP) of the 2016 XTS grew between $250 and $2,535, depending on the trim level. The smallest increase is the additional $250 for the Luxury trim level, while the largest is the $2,535 for the Platinum and V-Sport Platinum trims. As with the 2015 XTS, all wheel-drive remains a $2,000 option on non-V-Sport models. V-Sport models have all wheel-drive standard. Following is an MSRP comparison of the 2016 Cadillac XTS Sedan to the 2015 XTS Sedan based on trim level. For 2016, Cadillac changed the way it spells V-Sport, from Vsport to V-Sport. 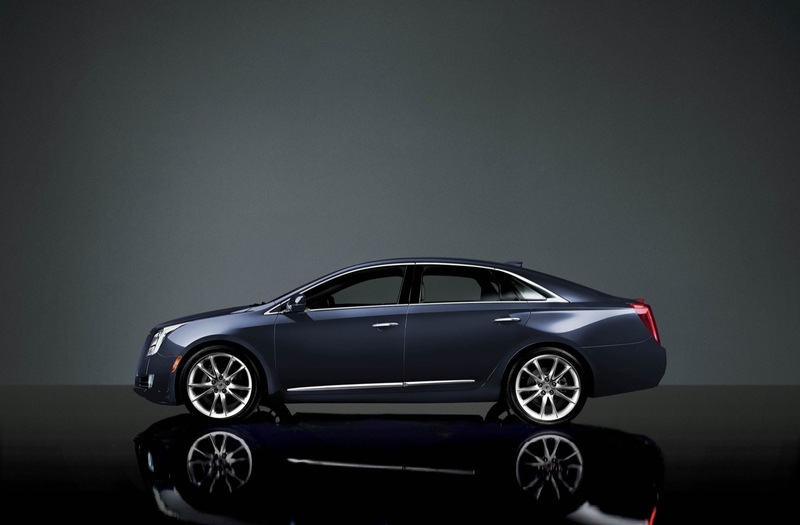 More on the 2016 Cadillac XTS V-Sport. Download the 2016 Cadillac XTS order guide (PDF file format).